But the people listed here didn’t sound very happy to me. More than that, knowing these words came from Jesus, it sounded as if The Lord was commanding his followers to be mourners and peacemakers, merciful and persecuted. One of those examples of upside-down living in the Kingdom of God that we know were part of Christ’s teaching. And Jesus continues his way around the crowd, next finding those who are mourning. His heart breaks for them, too. Maybe sees someone meek shyly lurking near the edge. He knows some are there because they have a deep longing for truth and righteousness. He finds some rich in mercy who may be downtrodden or taken advantage of in life. He sees the pure and the peacemakers, and know the loneliness these types can experience, but tells them they will see God and be called children – part of his family. And finally, the persecuted, the cast-out, the misfits, who dare to seek him out anyway. It goes on and on through the list. 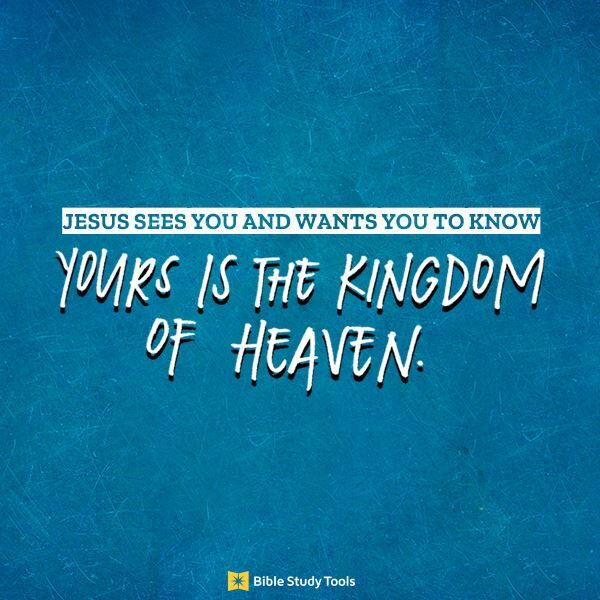 Before Jesus teaches anything, he lets you know he sees you there ready to learn from him, that he appreciates how this very thing has brought you to him, and that there is good news on the flip side of your coin.